bridges among faith communities, encourage dialogue, and promote justice and mutual understanding. The Crescent Peace Society mourns the victims of coordinated mass shootings at two mosques in Christchurch, New Zealand which left at least 49 dead and many more injured. The victims were kneeling in prayer during the Friday Jummah prayer services when one of the four suspected attackers opened fire. The suspected terrorists arranged for the shooting to be broadcast live on social media and published a White nationalist manifesto detailing their fractured and hateful worldview. In the aftermath of the attack, CPS joins with local Muslim organization in calling for vigilance as Muslims attend Friday Jummah prayers today in mosques around the metro area. Many area mosques have coordinated with local law enforcement already for increased patrols and police presence during the afternoon prayer services today. Despite the fear and sadness we feel, many of us in the Muslim community have been touched by those reaching out and offering their prayers, help and solidarity in this difficult time. Interfaith organizations, such as Kansas Interfaith Action and the Greater Kansas City Interfaith Council have put out statements, while Jewish organizations including the Jewish Community Relations Board have expressed solidarity with the Muslim community. 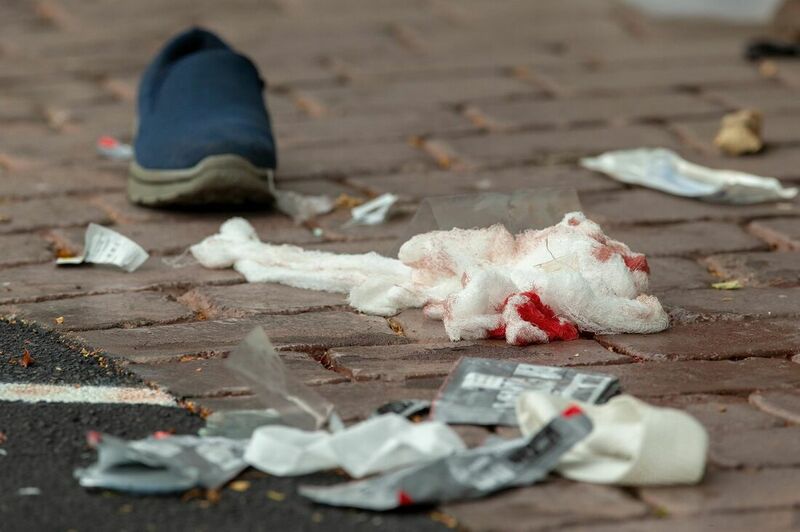 The terrorists suspected of these attacks have been linked to white nationalism and published a manifesto detailing their extreme right-wing views. The manifesto is reportedly a collection of racist and violent memes with references to previous shooters, including the man who attacked the Tree of Life synagogue in Pittsburgh. (NYTimes: In New Zealand, Signs Point to a Gunman Steeped in Internet Trolling). Each year the Crescent Peace Society hosts an Interfaith Iftar as a way of sharing the spirit of Ramadan and fasting with our friends from other religions and backgrounds. It is an occasion to learn, share and eat together and share the experience of fasting with our friends. We hope you can join us for this year's iftar on May 11, 2019 at 7 p.m. at the Leawood Community center. You can sign up here to get more info about the event as we get closer to Ramadan! Syed Farrukh Shabbir, M.D. 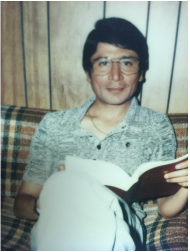 was a founding member of the Crescent Peace Society who passed away in 2006 after spending twenty-seven years of his life serving and supporting our community. In this memory, the Shabbir family founded the Syed Farrukh Shabbir, M.D. Memorial Scholarship through CPS. The scholarship is awarded to a college bound graduating senior who has written the most compelling essay about the importance of peace and understanding in a pluralistic world. The 500-word essay contest is open to any graduating senior from a high school located in the greater Kansas City area. For more information please download a packet here. The submission deadline is April 30, 2019. The winners will be announced in May and invited to attend the annual Crescent Peace Society dinner. For more information, please contact Mahnaz Shabbir at Mahnaz@shabbiradvisors.com. CPS Turkey Drive Reaches Goal! Thank you for helping us reach our goal of feeding and clothing 500 families by raising money and collecting warm clothing this year for Thanksgiving. The Crescent Peace Society partnered with local interfaith organizations, including the Kansas City Interfaith Youth Alliance and the Faith Always Wins Foundation to support Imam Sulaiman Salaam Jr. and Project Neighborly Needs distribute turkeys, warm clothing and other services to needy families again this year. Thank you to so many of you who joined us in making the Thanksgiving holiday special for so many families again this year. To see pictures from this last year's distribution event click here. “Do not turn away a poor man…even if all you can give is half a date. The Crescent Peace Society today joined mourners in remembering the victims of the mass shooting at the Tree of Life Synagogue in Pittsburgh. The attack left eleven dead and six injured. The suspected shooter, Robert Bowers, allegedly espoused hateful beliefs about Jews. The alleged shooter expressed virulently anti-Semitic views on social media prior to the attack, apparently enraged about the Jewish community’s role in aiding the resettlement of immigrants and refugees in the United States. Bowers wrote in one post: “Open you Eyes! It’s the filthy EVIL jews Bringing the Filthy EVIL Muslims into the Country! !” In the aftermath of World War II, the Jewish community in the United States set up many programs and organizations tasked with resettling Holocaust survivors. These institutions, including Jewish Vocational Services locally, have continued serving that mission today by helping refugees and immigrants from around the world resettle in the United States. Within twenty-four hours, a fundraising campaign by the American Muslim community raised over $50,000 for the families of the victims of the Pittsburgh attack. Statements expressing solidarity with the Jewish community have been released by local mosques (Islamic Center of Johnson County) and national Islamic organizations (Islamic Society of North America and the Council on American Islamic Relations). CPS Celebrates a Successful 22nd Annual Banquet! 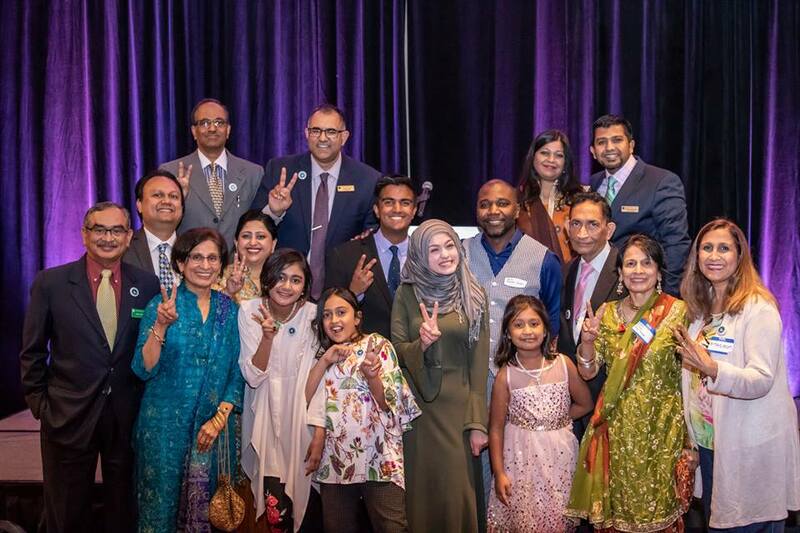 The Crescent Peace Society would like to thank everyone who attended and supported last night's 22nd Annual Eid Celebration & Awards Banquet. We hosted over 300 guests for our biggest and most successful dinner yet! Amal Kassir was an amazing and moving speaker, Imam Sulaiman Salaam Jr., and Aisha Sharif honored the event with sincere and thoughtful prayers and our award winners shared heartfelt moments in their speeches. We'd like to thank all of our volunteers and sponsors for their hard work! We can't wait 'til next year! To check out pictures from the dinner, check out our picture gallery! The Crescent Peace Society today condemned the President’s retweets highlighting unverified anti- Muslim videos attributed to Jayda Fransen, the deputy leader of a UK hate group. The President’s tweets elevate a British extremist group that has previously been condemned by all the major Christian denominations in the United Kingdom. Britain First previously attempted to organize a “Christian Patrol” targeting Muslim families and conduct “invasions” of British mosques, but the effort was roundly criticized by Christian leaders. That the President of the United States sees fit to promote the hateful message of this group legitimizes their message at a time of rising hate crimes against American Muslims. ​For more information please see our press release. What We Mean When We Say "God is Great"
“Allahu Akbar” is a beautiful declaration of religious devotion, not a call to terrorism. Muslims repeat the phrase “Allahu Akbar” in their five daily prayers somewhere between 150 to 200 times a day. The Adhan, or call to prayer, begins by reminding Muslims “God is Great” and encourages adherents to rush to prayer to praise His greatness. Many Muslims also use the phrase culturally in place of applause. Unfortunately, this phrase is often abused by the perpetrators of heinous crimes in the pursuit of terrorism. The use of ”Allahu Akbar” by such criminals is disturbing and painful to the millions of devout Muslims who overwhelmingly reject terrorism. The vast majority of Muslims are left frustrated as they watch these extremists desiccating the beauty of our religion. This frustration is multiplied when terrorists are taken to be the spokespersons of our religion. Television pundits and radio commentators often use the phrase to further mock earnest believers by claiming “Allahu Akbar” is a call to violence or rage. Many of these commentators and even some prominent politicians consider it fashionable to say “Allahu Akbar” in a derogatory tone, falsely believing that by saying this they demonstrate some deep knowledge of the religion and language. Often they mispronounce and misinterpret its meaning demonstrating their lack of knowledge and ignorance. Such rhetoric only serves to alienate the majority of Muslims. “Allahu Akbar” is a beautiful declaration of religious devotion, not a call to terrorism. It is the inspiring notion found in all religions to place God above everything. If there is one thing all religions should be able to agree on it is the greatness of the Divine—God is Great! Javid Talib lives in Leawood, Kansas and is an Advisory Board Member of the Crescent Peace Society. The Crescent Peace Society is proud to participate in MAACA's Asian Cultural Festival each year. Join us as we celebrate the rich and diverse cultures of Asia with cultural performances, martial arts demonstrations, ethnic Asian foods, clothing and jewelry, a yo-yo contest and more! Tickets are available at maacaweb.org. Early Ramadan Mubarak! The Crescent Peace Society will be hosting its annual interfaith iftar in order to bring the spirit and experience of opening fast to the interfaith community! There will be time for mingling and a short presentation on fasting and Ramadan followed by the opening of fast at 8:45 p.m. and dinner at 9 p.m. We would be honored if you could join us for this neighborly occasion. Additional events will be announced soon!